I received an AWESOME cooler of Wholly Salsa and Guacamole products to try out and they were attacked before I could get a picture! This pic is from Coupon Cutting Mom who also has a cooler to giveaway! My favorite by far is the Avocado Verde Salsa. I could eat that by the gallon!! Not only will the winner receive EIGHT salsa's but they'll also get Guacamole! Be sure to check out the Wholly Guacamole Pinterest page! They have so many good lookin' recipes!! a Rafflecopter giveaway Giveaway will end July 13th at 11:59 EST. Sponsored by Wholly Guacamole. I received samples. No other compensation was received. All opinions are my own. This promotion is in no way sponsored, endorsed or administered by, or associated with, Facebook. We hereby release Facebook of any liability. Winner(s) will be contacted by email and will have 48 hours after the giveaway ends to respond before another winner is picked. I would love to try Wholly Salsa & Guacamole! thank you SO much for this awesome giveaway!!! I love Wholly Guacamole! What a great giveaway! This would be an awesome prize to win! We LOVE guacamole in this house. These sound great! I would love to win. 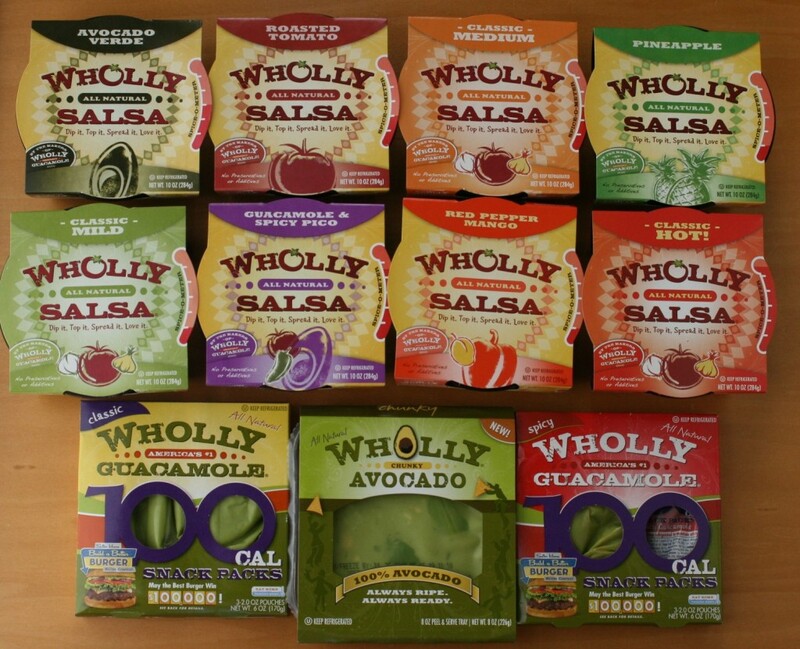 I love Wholly Guacamole products! Thanks for the great giveaway! I love guacamole! I love their guac and am excited to try the salsa! Love this product...thanks for hosting the giveaway! Wholly Guacamole is the BEST ... it's healthy and tasty! Thank you for this opportunity! Thank you for the opportunity. I love Wholly Guac and Salsas! I love Wholly products. So tasty and healthy! I love this stuff! Thanks for the giveaway! I'd love to win this one! I'm on a gluten free & dairy free diet since my baby is allergic to both...gauc is about the only thing I know I can always eat... and Wholly makes some gooood stuff! I LOVE Wholly products!!!! Thanks for the giveaway! Love quacamole!! Would love to win!! My husband would love me extra if I won this! Love this giveaway. Guacamole is my favorite appetizer. I tried 'Wholly salsa' on July 4th and it was great. Thanks for the giveaway. really like Wholly guacamole it is my favorite appetizer. Thanks for this Wholly amazing giveaway! would love to try these! Awesome giveaway!!!! I would love to try all these products! Love this brand! I love their products and would love to try all the varieties I haven't got to yet. Lucky's finally started selling it. 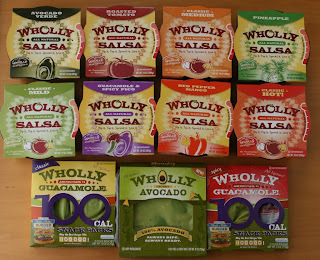 We love Wholly Guac, I could use a restock right now! This Salsa looks so good. Can't wait to try it. Addicted to Guac and preggo right now! Would LOVE this!!!! Wholly makes such good stuff, good for ya too! I just love them! Thanks for the great giveaway! Love Wholly Guacamole! I love Wholly Guacamole and Tight Wad in Utah! What a great giveaway! Thanks for the chance to win! I am such a big fan of Wholly products, thanks for the chance to win!